This is a picture from the first wedding we photographed at the magnificent Cutlers Hall in Sheffield. It was a wonderful and happy day for the bride and groom and their family and friends and we really enjoyed it! 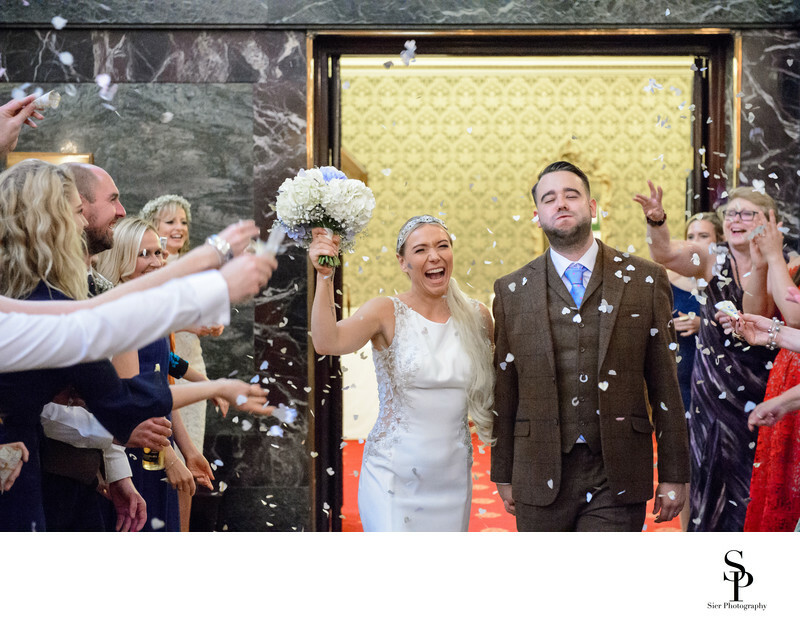 In this picture Alex and Ryan are entering the main Banqueting Hall in the Cutlers Hall through a shower of confetti just before commencing their Wedding Breakfast. There are some stunning and magnificent wedding venues and we are truly spoilt for choice. If you want (or need) something as large as the Cutlers Hall then it is there, if you want a large hotel wedding then there is plenty of choice too, and should you only want a small, intimate wedding for immediate family and a few close friends then that is an option too. The smallest wedding we ever photographed had eight people attending, that included the bride and groom and us. While it is possible to have a smaller wedding there really isn't much further to go! This wedding was a large one and needed a large venue to fit everyone in in comfort, while there are other wedding venues within Sheffield that could fit the bill Alex and Ryan had really set their hearts on the Cutlers Hall. 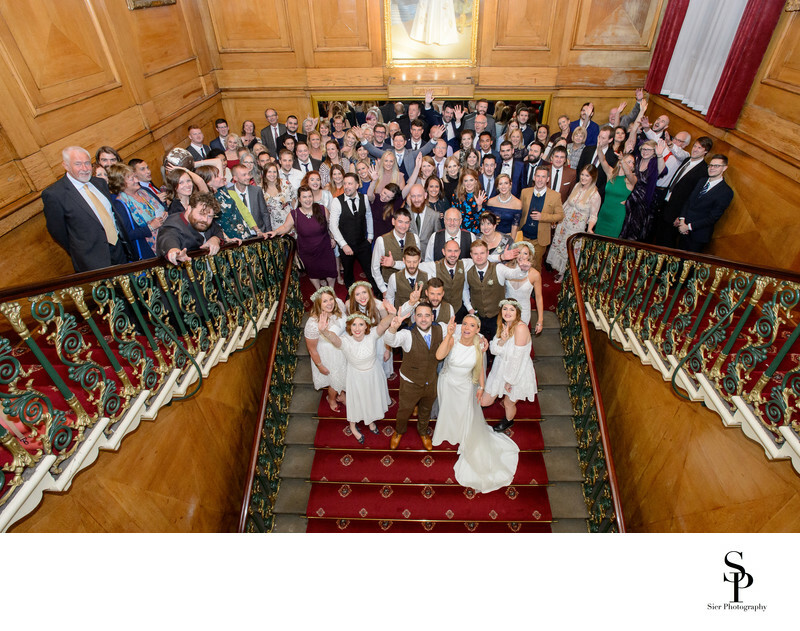 The magnificent staircase is ideal for formal photos as well as the larger group shots such as the one below. 1/200; f/3.5; ISO 20000; 70.0 mm.